Adjacency matrix is the type of graph visualization in form of matrix; crossing of columns and rows determines the edges. 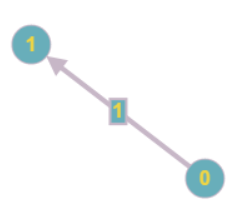 Using adjacency matrix you can determine the edges' weight and orientation. Every matrix's row and column correspond to edges; the number of the row corresponds to the vertex, where an edge starts; the number of the column corresponds to the vertex where an edge finishes. 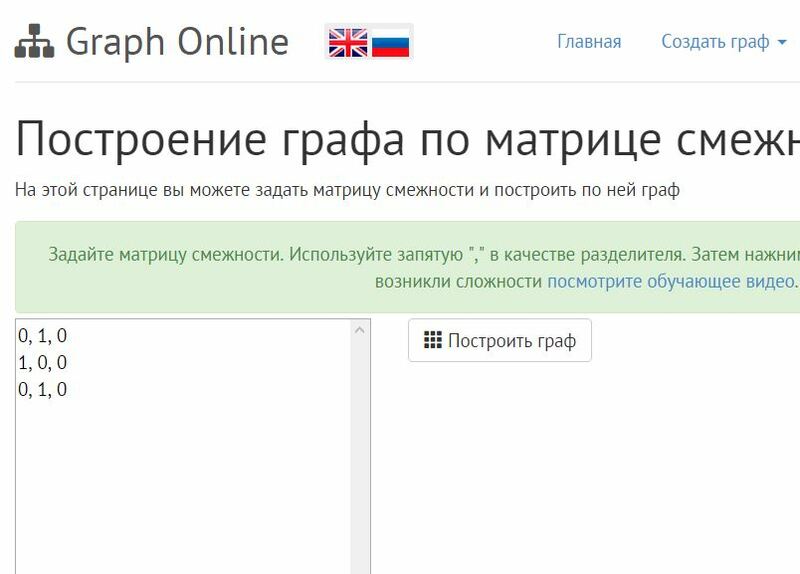 Graph Online allows you to create Создать граф по матрице смежности. Moreover, users can edit the existing adjacency matrix. 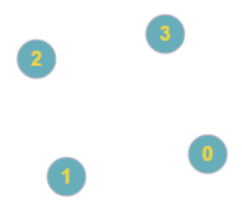 In order to do that you have to choose Graph in the menu bar and then Adjacency matrix. 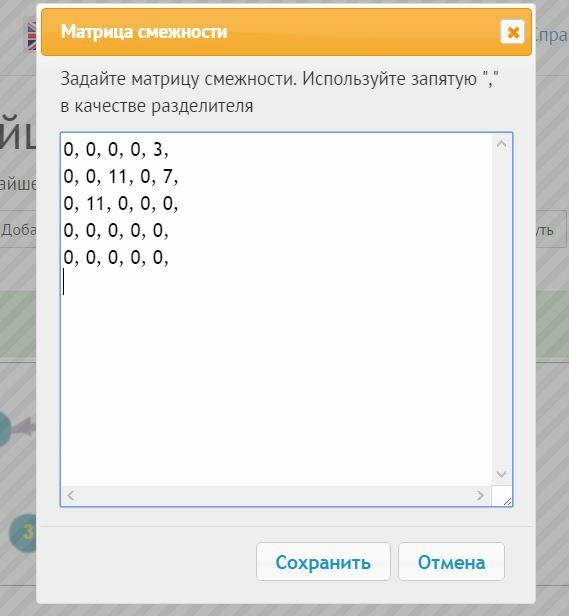 In order to use adjacency matrix you have to enter it in the right form. A matrix should be square; the number of rows should be equal to the number of columns. Every new row should be entered from the new line. The weight of the edge should be a positive number. Value "0" means the edge does not exist. 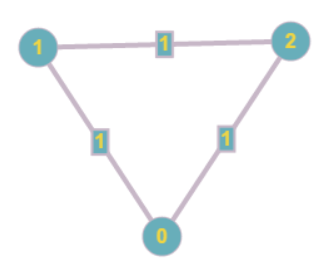 Dependence between the vertices was entered instead of an adjacency matrix. You have to enter an adjacency matrix for that graph. Instead of symbol "∞" use "0". Instead of symbol "-" or 'inf" use 0".